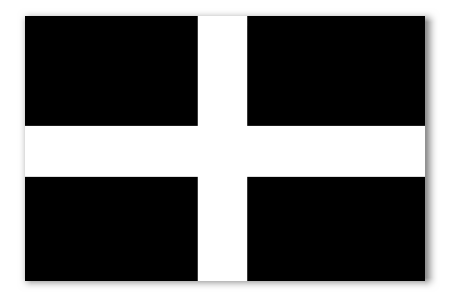 Cornish flag sticker. Durable and water resistant, this sticker is ideal for your car or motorbike. Celtic Countries Shop is the online store for people who enjoy the Celtic nations, their natural splendour, culture, and lifestyles. Sign up for our monthy Celtic Countries Magazine email newsletter for the latest stories from our website.